USGBC is a non-profit organization that is known for it’s annual Greenbuild International Conference, that offers a forum for the green building community to unite, change lives, revolutionize business and address pressing issues, such as air quality, human health, energy use and global climate change. 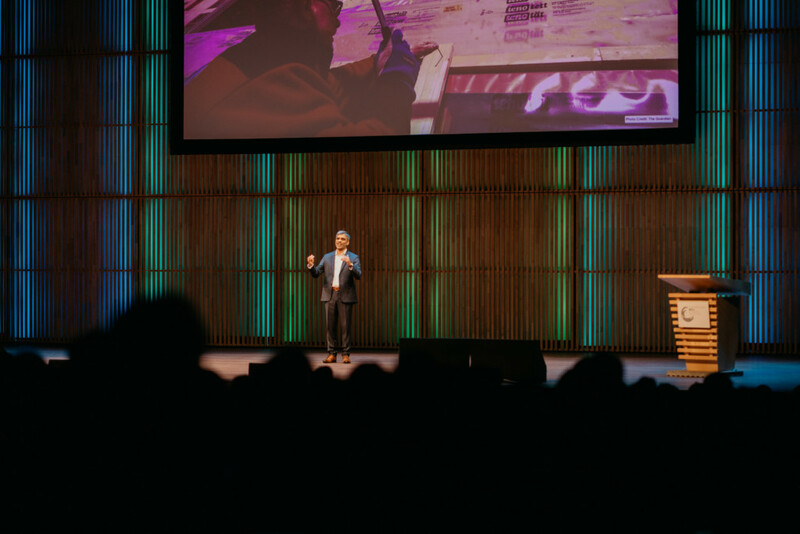 2019 is a second year for GreenBuild coming to Europe and this time it was based in Amsterdam, NL where USGBC announced its newest version of the LEED green building program, LEED v4.1. It is the most comprehensive, collaborative, accessible and effective LEED system to date. LEED v4.1 is set to raise the bar. It goes beyond construction, efficiency and materials, it focuses on what matters most within those buildings: human beings. We live in an Anthropocene era characterized by significant human impact on the Earth‘s geology and ecosystem and mission of organizations like USGBC and GBCI to execute a change. “US Green Building Council has been around for two decades, first version of LEED came out in 2000. We’re not these hippies anymore, it has become a mainstream, part of investment decision making on how to deploy capital. It has become a holistic thing and market is following step by step” – says Kay Killmann, Managing Director of GBCI Europe. New standard advocates performance throughout the life of buildings, rewards leaders based on their performance and enables building owners to track progress towards environmental, social and governance goals. 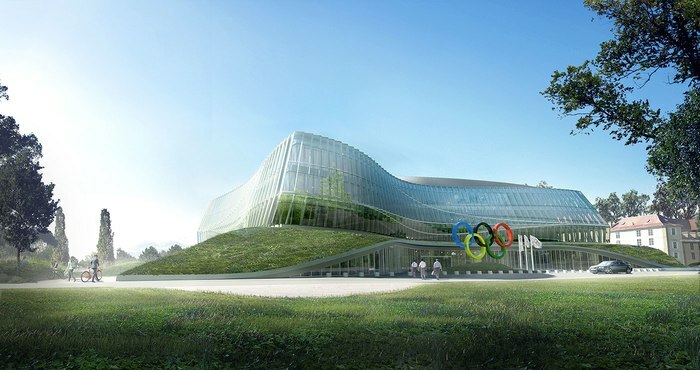 One of the examples of this movement is Olympic House, new home for International Olympic Committee. It will be opening on June 23rd, 2019 and pursue not one, but three different sustainability certifications: Minergy, SNBS and LEED Platinum. Sustainability is one of the three pillars of Olympic Agenda 2020, which is the strategic roadmap for the future of the Olympic Movement. Marie Sallois, Director of Corporate Development, Brand and Sustainability at the IOC shared some of the innovation opportunities and challenges related to this project. 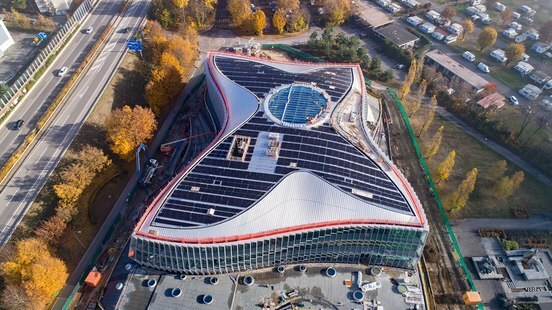 Olympic House is one of the most innovative projects in Europe. From the original architecture competition all the way through construction, the IOC introduced new ways of working thanks to innovative collaboration, involving the IOC’s commercial partners, local authorities, suppliers, and academics. Construction materials and furniture were selected so they comply with very strict criteria on their chemical content in order to guarantee a very good indoor air quality – an approach that went well beyond current practice. “That’s where they really pushed boundaries with LEED because a lot of people just skip some of the material points, and we’re just going to go out and make the market conform to us. And this is the goal of LEED – to transform the market.” – adds Nicole Killmann, Director of GBCI Europe and one of the industry leaders. The project also involved the development of a sustainable mobility strategy, encouraging the IOC staff to use active and ecological means of transport. A mini hydrogen station will also be installed to refuel several hydrogen cars of the IOC fleet that are replacing petrol cars. The IOC also engaged a local university and provided credits to students who were able to work on the project for 4 weeks on a voluntary basis. They also brought teachers from other countries to help implement the ‘respectful deconstruction’ approach adopted by the project, in line with the principles of circular economy. At least two of the students continue to be very active in this field, and one is launching “The future of Olympic Village”, a sustainable village of tomorrow. Another one wants to specialize in circular economy and architecture. These are just two examples of how this project is changing lives and shaping our future. 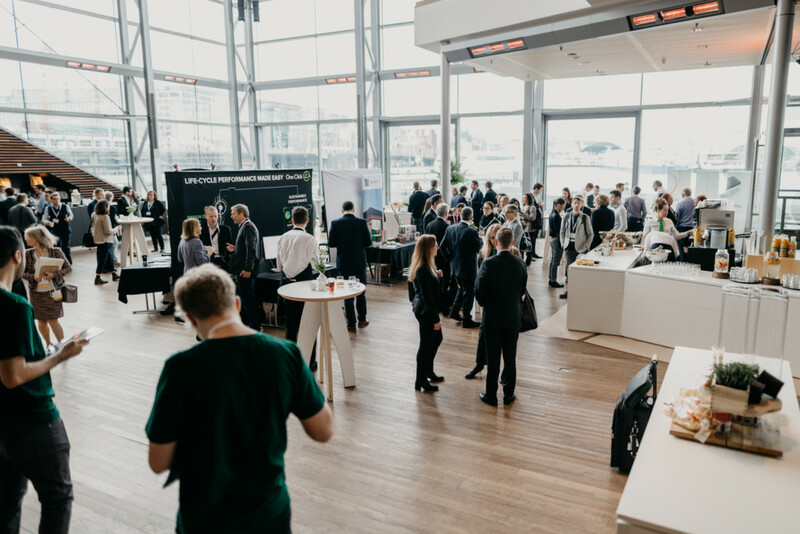 Events like Greenbuild Europe not only create an opportunity to highlight the incredible work that’s been done, but also emphasize innovation and commitment to excellence transforming the market one project a time. The future is already here.